at little or no cost to you! We do the Paperwork for you!!! Choosing an electric wheelchair can be confusing when you are faced with so many products to choose from. Our qualified sales staff is here to help! We will help you assess your primary wheelchair needs based on your primary travel needs, be it indoors or outside, your height and weight and your seating needs. We also offer qualified Medicare billing and will gather all of the paperwork for you. We warranty all new products for 1 full year (100% parts and labor), and most used products for 6 months. Most products also have an extended manufacturers warranty. 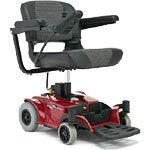 All of our new power chairs come complete with batteries, charger and free shipping. 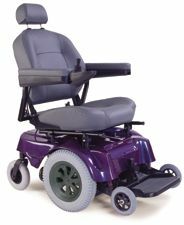 Please scroll down to see a complete listing of new electric wheelchairs. Active trac suspension, 300 lb. weight capacity and incredible 18.5" turning radius! This demo unit is in excellent, like new condition. 300 lb. weight capacity. True six wheel on the ground technology, low center of gravity and excellent in home maneuverability in small spaces. AHeavy Duty model with 500 lb. weight capacity. Extra wide 24" seat, high back with head rest. Super light, only 94 lbs. total!!! Heaviest piece only 34 lbs.! Height adjustable padded seat and armrests and much more!! Disassembles into 3 pieces with heaviest piece only 34 lbs.!! Folds like a lawn chair and fits in the smallest trunk spaces. Great for cruise ships, airlines and trains. 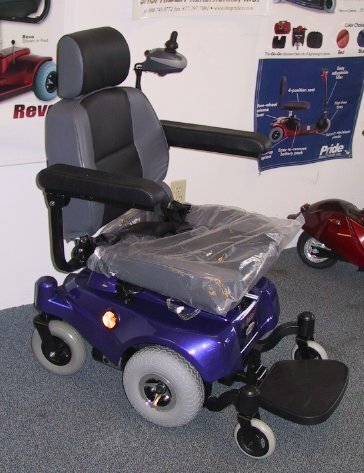 Heavy Duty Power Chair with extra large 22" x 20" seat and 350 lb. weight capacity. Ideal for indoors or outside over rough terrain. High back, semi reclining seat and much more!! Easy front battery access, active trac "all wheel" suspension and 19.5" turning radius and 14" drive wheel for traveling over rough terrain! High back seat offers the ultimate in comfort! See More Package Deals!! CLICK HERE!! Click on the item name below to view the full features and specifications on that item. 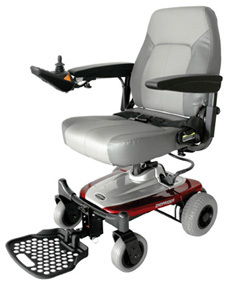 All new powerchairs include batteries, charger and shipping within the cont. U.S. Finally! A Truly light weight Take-apart wheelchair with deluxe features at an affordable price! Standard features include Highback contoured seat with headrest, basket, seat belt and semi recline seat. Heaviest piece ONLY 43 lbs.!! Light weight, Take-apart, no frills wheelchair at a great price! Disassembles and loads in seconds! Heaviest piece ONLY 58 lbs.!! Heaviest piece ONLY 34 lbs.!! Light weight and easy to take-apart and transport, with superior power! Lithium Iron batteries charge in 85 minuets! Total weight - 93 lbs. Heaviest piece only 37 lbs.!!!! Easy to take-apart and transport. 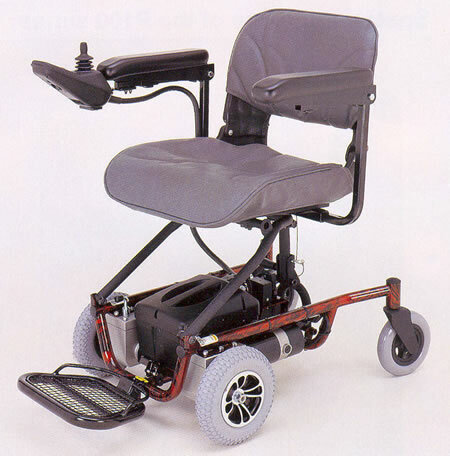 Featuring a light weight tubular frame, removable battery pack and removable seat. The heaviest piece is only 50 lbs.!!!! Easy to take-apart and transport, with superior power! The Pronto M51 is extremely maneuverable w/ 300 lb. weight capacity. True six wheel on the ground technology, low center of gravity and excellent in home maneuverability in small spaces. 18" turning radius, 300 lb. weight capacity and Active-Trac suspension. Mini power chair maneuvers in the tightest spaces! Easy folding pediatric chair with 14" wide seat. Large 14" drive tires suspension and 300 lb. weight capacity! Heavy duty in a small package! 300 lb. weight capacity with power seat and active trac suspension standard. Large 12"drive wheels. 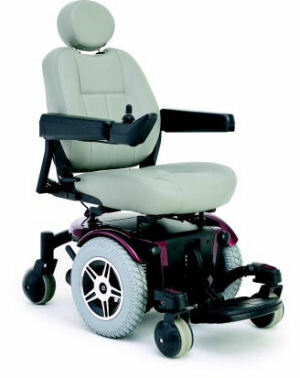 The ultimate design in electric wheelchairs!! 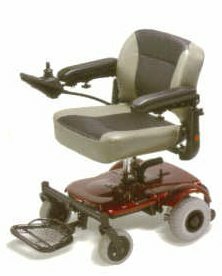 Powerful mid wheel drive, fully adjustable high back captains chair and one of the easiest chairs on the market to maneuver. Easy front battery access, active trac suspension and 19" turning radius and 14" drive wheel for traveling over rough terrain! High back seat offers the ultimate in comfort! 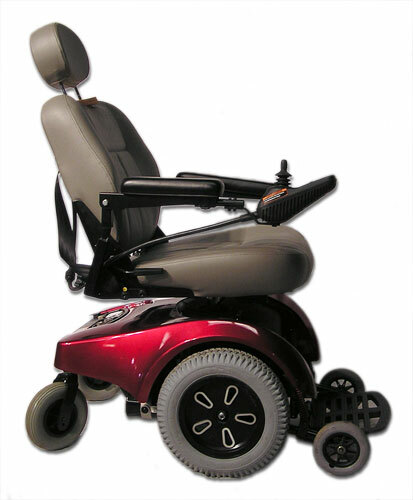 Easy front battery access, 19.5" turning radius and large 14" drive wheels. Great for covering rough terrain! 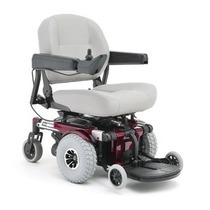 Large front wheels give offer superior traction and climbing ability! 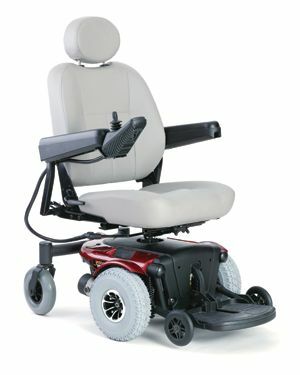 Compact, maneuverable rear wheel drive power chair with a 300 lb. weight capacity! 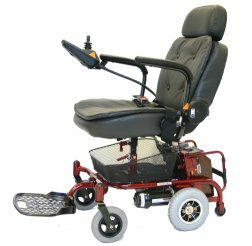 Compact mid-wheel drive chair with 300 lb. capacity. Very maneuverable!! 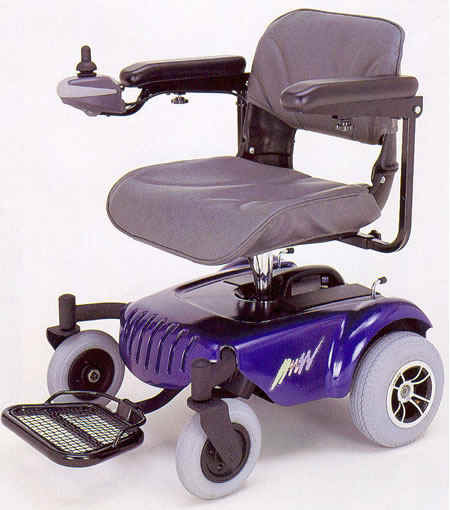 All powerchairs include batteries, charger and shipping within the cont. U.S.
curb climbing, 400 lb. weight capacity. Semi reclining seat and much more!! 350 lb. weight capacity in a compact power chair! Heavy duty rear wheel drive. Great for outdoors! 350 lb. weight capacity with many rehab options.